Golly gosh. It's been a while! Jessica Washick's Half Hearted manicure from U Don't Need A Man, U Need a Manicure popped up on my Tumblr dashboard last week and the second I saw it I knew I had to get my nail art brushes out and give it a go. I had to wait a while though, because after having plain nails for what feels like forever, I dove headfirst back into nail art the other day and had my nails done at I Scream Nails. I rocked my cat/pineapple/unicorn/happy cloud/banana nails for as long as possible before taking them off and giving Jessica's heart design a go. 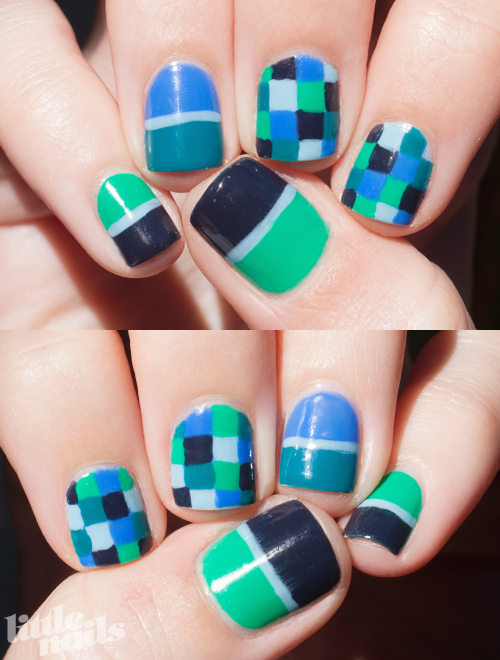 My nails on the left, my friend Emma's on the right. 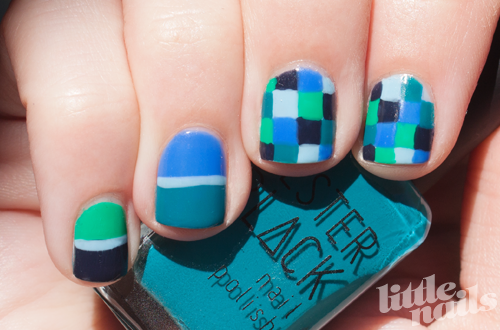 Kester Black and Trophy Wife have teamed up again to create this lovely limited edition nail polish set. 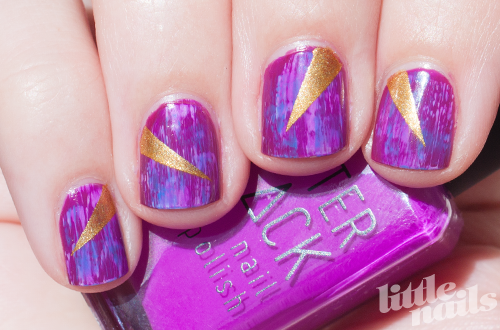 Prenup is a fabulous purple polish which applied beautifully. Sugar Daddy is the silver glitter polish I've been looking for my entire life! 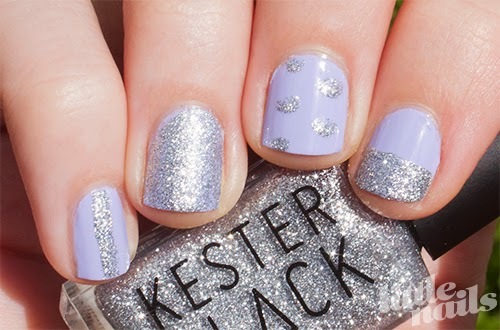 For a long while, I was on the hunt for a simple silver glitter polish that I could wear on its own. I didn't think it would be that hard to find, but everything I had either had too much holo (I wanted good ol' regular glitter), needed a base colour or was just the wrong shade. I'd given up and then I found Sugar Daddy. I popped it over Prenup and was amazed! I could tell it was dense in the bottle but boy was I impressed. For nail art it's pretty much full coverage with one coat. To cover an entire finger was one coat with a little touching up on a second coat. 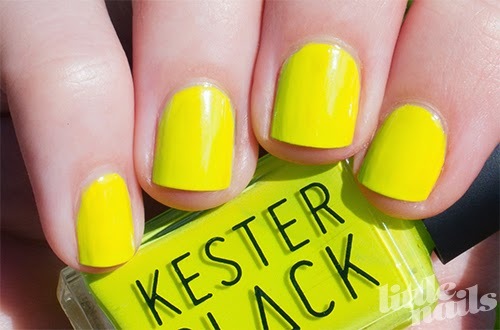 You can purchase Kester Black nail polish online (shipping is to Australia and New Zealand only) and in stores. They are five free (no Toluene, no DBP, no Camphor, no Formaldehyde, no Formaldehyde Resin), made in Australia, cruelty free, CCF accredited (Choose Cruelty Free) and vegan! These polishes were provided to me for review. Hello everyone! I'm back! And do I have a treat for you! 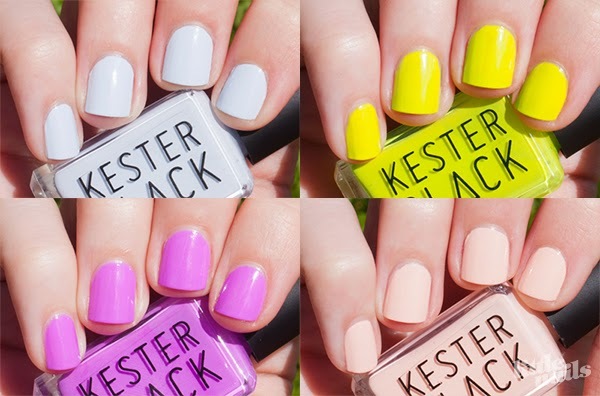 Amazing Anna (as she will now be known) from Kester Black has a new collection of colours out to get ready for summer. I got these polishes a few weeks ago and they've pretty much been the only thing on my nails since then. The formula is great, as usual. The brush is different on this lot. It's a little wider than your average polish brush and it took a few coats to get used to but didn't cause any trouble. I was actually a little thrown when I popped on an older KB colour and the brush felt so thin! I am so in love with the colours that it's not even funny. Usually, if my polishes aren't neatly put away in drawers they are in a scattered mess across my desk, but with this collection I actually lined them up on my shelf and kept them on display for quite some time. They just look so lovely together. I surprised myself and actually ended up wearing Sky and Acid the most. Sky has become my new 'goes with everything' polish and I've worn Acid way more than I expected, given that it's a pretty out there colour. 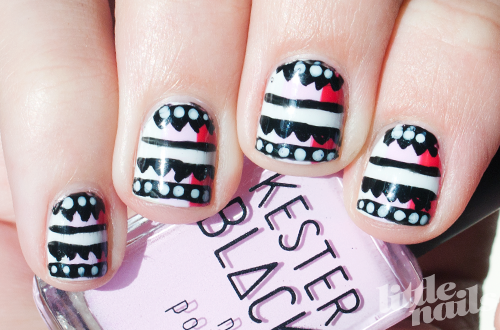 You can purchase Kester Black nail polish online (shipping is to Australia and New Zealand only) and in stores. They are five free (no Toluene, no DBP, no Camphor, no Formaldehyde, no Formaldehyde Resin), made in Australia, cruelty free, CCF accredited (Choose Cruelty Free) and vegan! Happy New Year everyone! 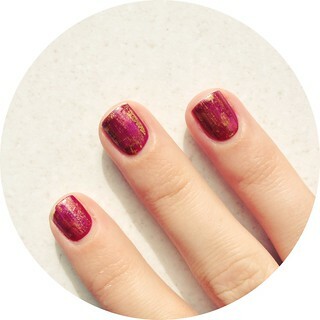 This mani is from forever ago, November 13 to be precise. I painted these nails after watching a fantastic tutorial by Mr. Candiipants. There have been so many fantastic tutorials around lately and every time I feel like doing some serious nail art I already have a tutorial in mind that I want to try! Sarah, from Chalkboard Nails, has created what is possibly my favourite tutorial of 2013 - Distressed Nail Art (check out her YouTube video tutorial here). It's super simple, super easy and looks amazing. 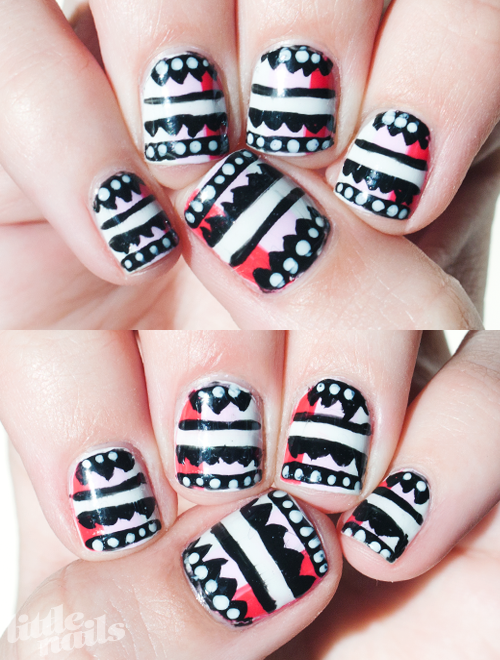 Originally I was planning on adding the black to the top of this mani, the same as in the tutorial, but I loved the patterns and colours in it as it was and couldn't bear to hide any of it under black. A few hours later I felt like it needed a bit of gold so I took advantage of my dry polish and used sticky tape to add some gold triangles. I love this technique so much, I did it another three times. 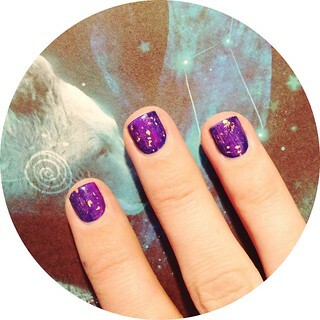 With a darker base and blues, purples and some glitter or gold leaf it makes for a really easy galaxy inspired mani. I loved that combo so much I did it again a few days later! 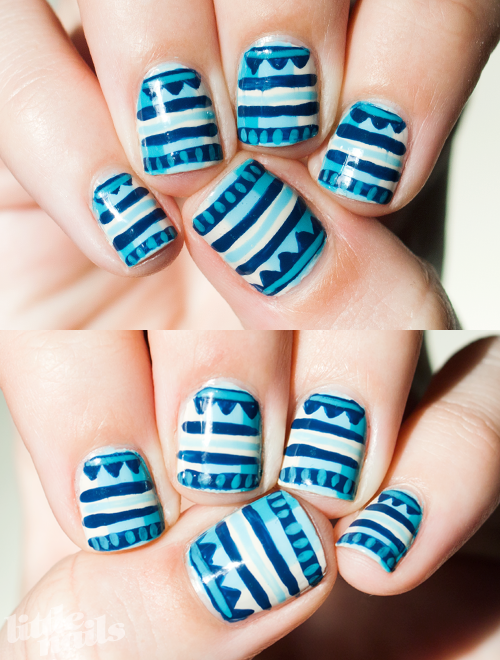 I loved this WAH Nails mani so much that I had to try it again in blue. 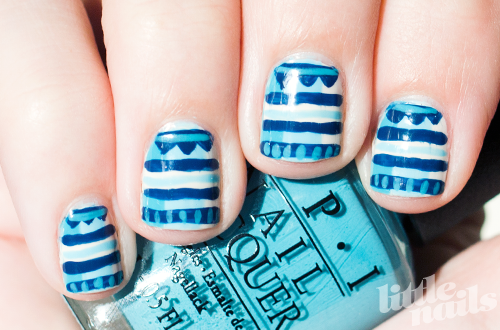 I kept the design simpler on this blue mani than on my pink mani and I loved the way it turned out. Painting one row of triangles was more than enough! 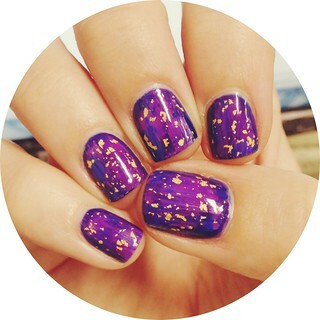 Like every other nail art fan on the planet, I follow WAH Nails on Instagram. 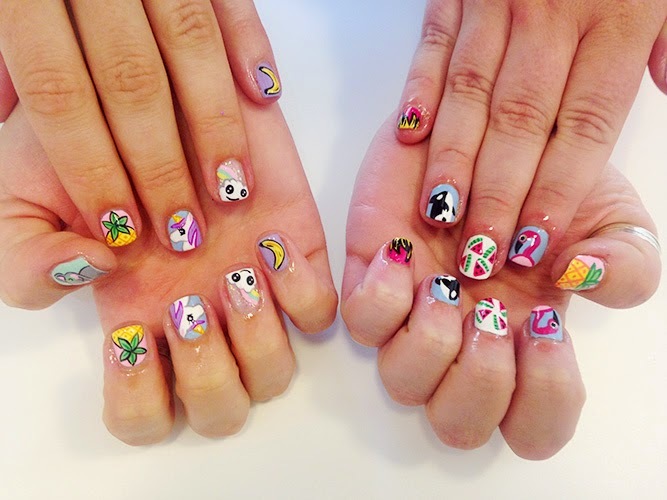 A while back I saw this fabulous manicure by WAH Girl Ellie and had to try it out on my nails. 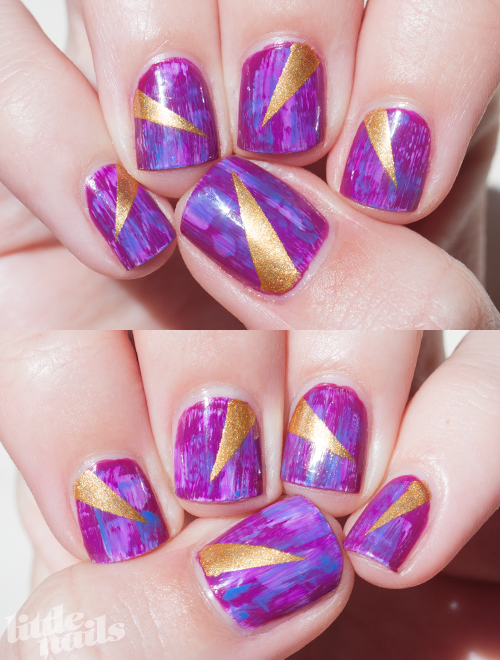 This mani reinforced the fact that I really need to keep practising my freehand painting. Some of those zig zags are a bit iffy, but from an arm length away it's hard to notice those little mistakes. I loved this design so much I did it in blue a few days later when this one chipped.